The first concert is by Alejandro Jones from the Welsh colony in Patagonia, South Argentina. This is his final gig of a Grand Tour of Wales and it is organised for September 14th at 7pm at the Rhewl Pavilion. He did spend some time in his youth working in Llysfasi and anyone who has heard him will confirm what a lovely tenor voice he possesses. The Playing Field Committee would like to thank all the helpers and, of course, all the families who attended our Party in the Park on Saturday September 2nd to raise money for the Playing Field and Pavilion. 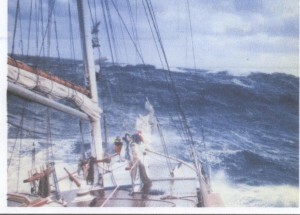 Luckily the weather was clement and the Committee was satisfied that a good time was had by all. Henllan beat Llanfair by 4 goals to nil at the Rhewl Playing Field; this victory earned them the double for the first time in their eighty six year history having already won the 2017 League championship. 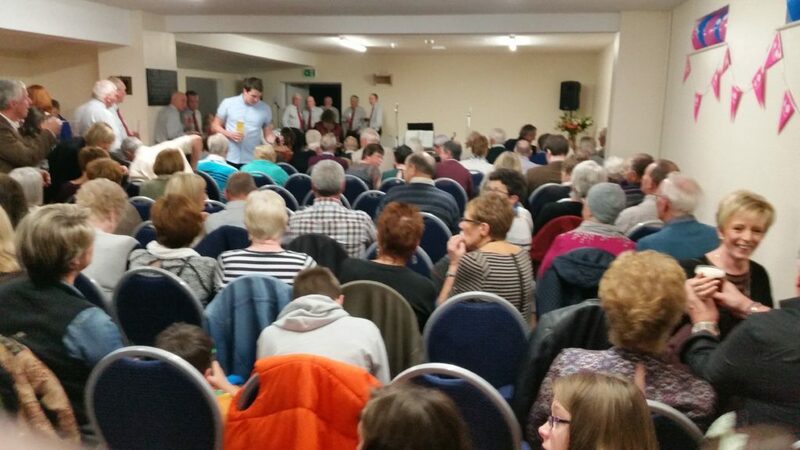 A crowd of over 600 enjoyed the performance of the outstanding Henllan team. A BBC sports News crew where there to record the event. 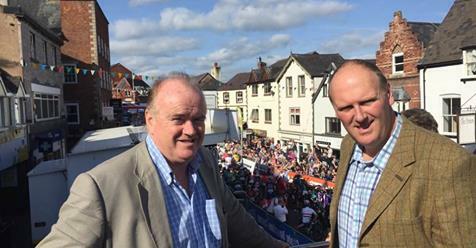 The League vice Chairman – John Eryl Hughes, Glan Clywedog was there to welcome the BBC and later presented the teams with their trophies. 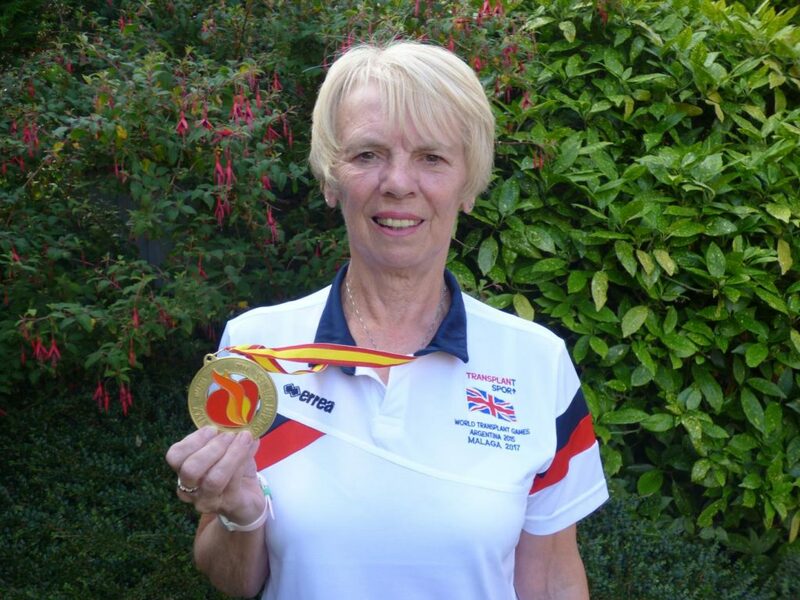 Rhewl residents from the dim and distant past will be delighted with the news that Brenda Roberts has won another gold medal at a World Transplant Games this time in Spain to follow her success in Argentina at the last Games. Brenda qualified to take part in these Games by having a liver transplant in 2012 – which saved her life. Brenda was the daughter of Gomer and Millie Roberts of Rhoslyn, Bro Clwyd Rhewl and came from a sporting family with father Gomer, in his day, being the “Stanley Mathews” of the Summer League and grand father Bob the Grange, Uncle Owen, Cousins Mark and Kevin being very able footballers and of course sister Wendy and Auntie Lynn who were excellent all-round sportswomen. Brenda now lives in Ruthin and is a keen member of Ruthin-Pwllglas Golf Club, and plays off a handicap of ten. 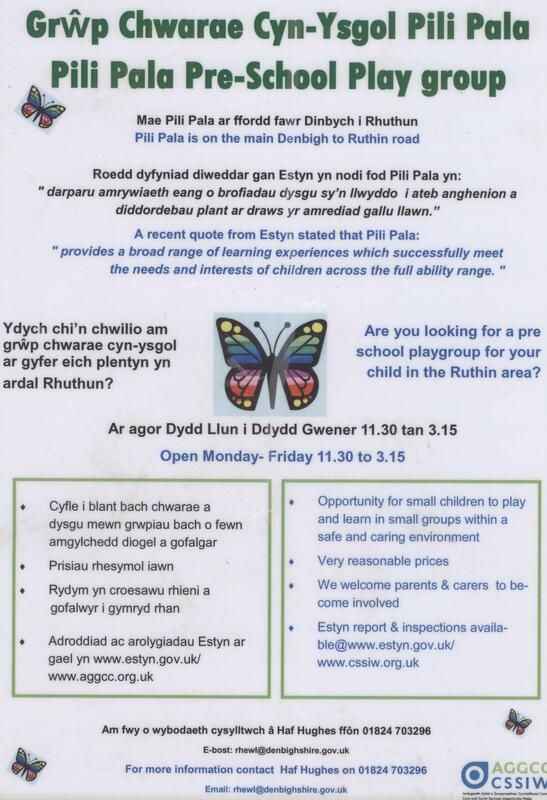 With sadness we report the death of Edwin Roberts (Ted Gables) who was brought up in Rhewl and whose daughter Sharon, Son in law Wyn and grandaughter Olivia live in the Ysgoldy across the road to Rhewl School. Ted was a very good footballer and played in the successful Rhewl F.C. team of the late 60’s and early 70’s. He was instrumental in reforming the football team in 1966 when they rejoined the summer League after a break of 3 seasons. Our condolences go out to his children and their partners – Chris and Julie, Dai and Jo, Sarah and Gareth, Sharon and Wyn and also his grandchildren – Ffion, Sion, Tom, Emily, Olivia and the rest of his family. The Funeral Service is to be held in St. Marcella’s Church Denbigh at 11a.m on Wednesday January 10th, 2018. Donations to the Marie Curie Cancer Care Fund. Very sad to report the death of Hefin – he was brought up in Llanynys, attended Rhewl School, Brynhyfryd School and the Cardiff College of Further Education. 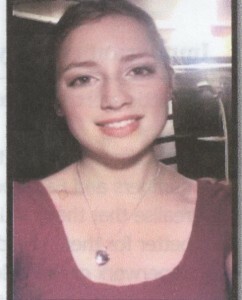 For many years he was the Senior Sports Master at the Winsford Verdin Grammar School where he met his wife-to-be Carol. He was a stand-out character being well over 6 foot tall, a fine physique and a mop of ginger hair. Even though he lived in Cheshire most of his working life he was always glad to meet Welshmen to practice his native language. He was an outstanding sportsman – Cross Country Champion, Excellent High Jumper, County Hammer Throwing Champion, Welsh Schools Hockey goalkeeper, A highly qualified Football Referee and in his youth an outstanding goalkeeper who always wanted to play Centre Forward as he did for the very successful Rhewl Football team of the late 60s and early 70s. Our condolences go out to his brother Gareth and family and the family of his late sister Owena and of course his wife Carol and her family. 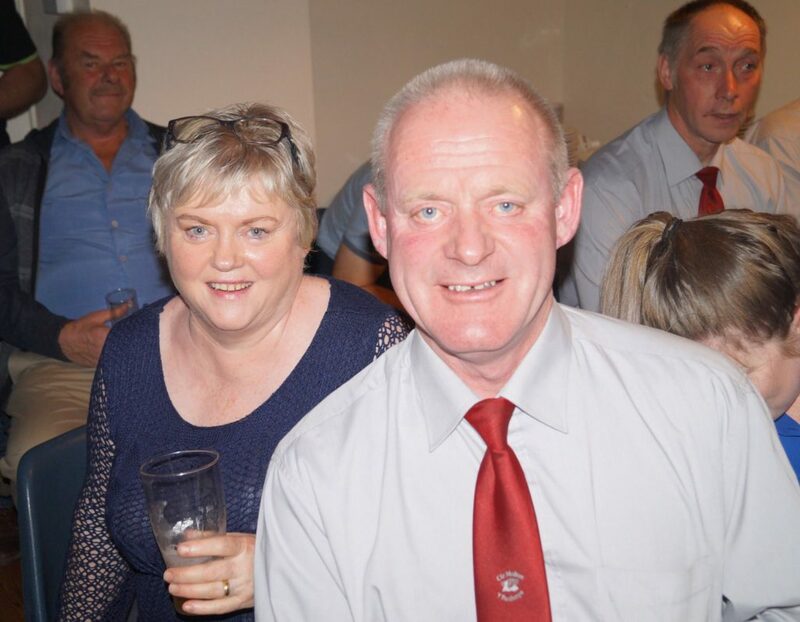 TRIBUTES have poured in for one-of-a-kind Hefin Roberts – a well-known teacher, sportsman and referee. Hefin, who lived in Moulton, died last week at the age of 73 after suffering a stroke, and the Guardian has been inundated with tributes to the larger-than-life character. Hefin worked at Verdin Comprehensive School in Winsford as a biology and PE teacher from 1968, before becoming a special education teacher at Broadwalk in Salford, but was also well-known for his involvement in sport. He played for Middlewich Athletic Football Club as a centre forward before joining Middlewich Cricket Club as a fast bowler. 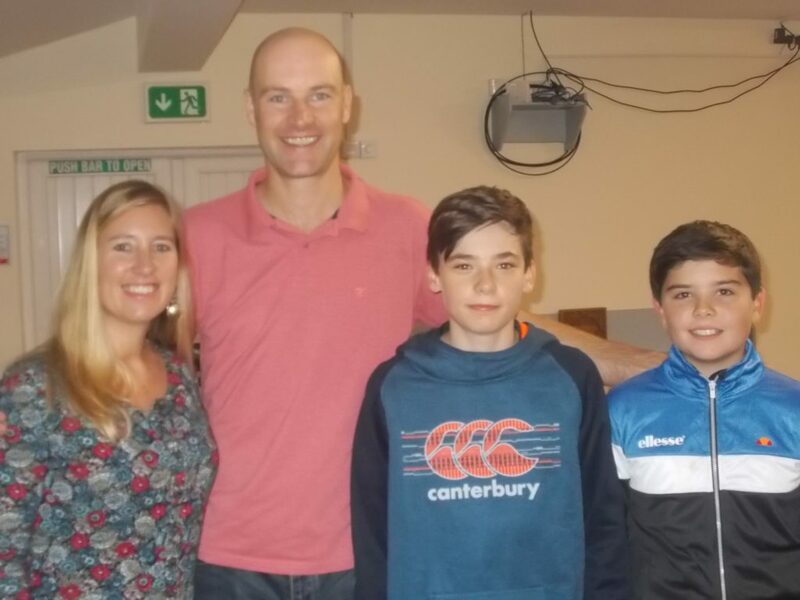 Dave Parry, now chairman of Middlewich Cricket Club, knew Hefin as a teacher and a teammate and said despite Hefin not being seen at the club for some time, stories of his jokes and antics are still told on a regular basis. Dave said: “He threw his heart and soul into everything he did and was so very popular with everybody. Everybody loved him and enjoyed his company. “One of his tricks was to keep pouring shampoo onto your head in the shower without you knowing, when you’re trying to wash it off, and that was the kind of person he was – he had a great sense of humour. Hefin was also a referee for amateur football around Cheshire and was the chairman of Cheshire Schools Football Association for 14 years, as well as being the CSFA Competitions Secretary responsible for collating scores in all cup competitions. From 1985 until about 2010 he was also secretary of Mid Cheshire Schools FA, now known as Vale Royal Schools FA. 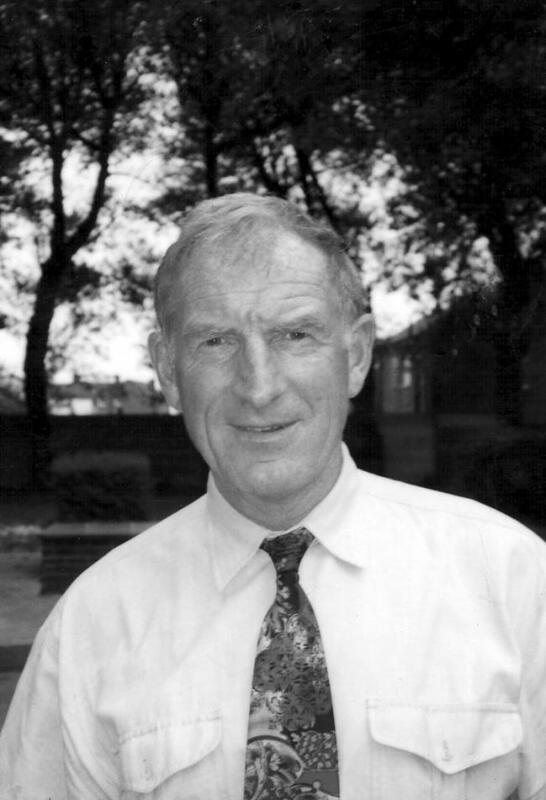 John Clark, Honorary Secretary of Cheshire Schools Football Association, said: “He was a tireless worker for schools’ football and took on a multitude of tasks including securing venues for finals, arranging referees, securing sponsorship, running raffles, attending county matches across the North of England, making speeches at finals, chairing meetings, helping in the changing rooms, organising post-match refreshments, and all this on a purely voluntary basis. “He was a true unsung hero whose commitment was second to none and who was always passionate about schools’ football. 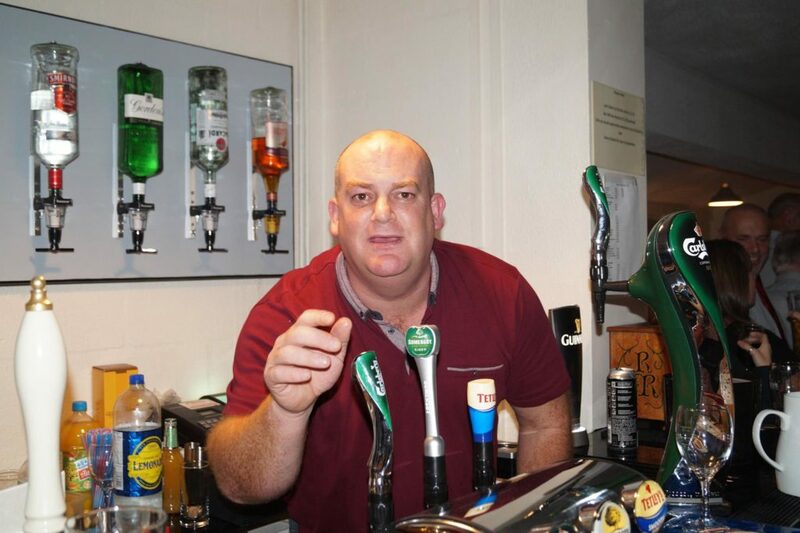 Many other tributes have been made to Hefin, with Middlewich High School teacher Keith Simpson describing him as a ‘larger than life character whose smile lit up a room’. To load the 2017 Diary of Talks and Activities for the Rhewl Gardening Club please move your mouse pointer to the Clubs option on the horizontal menu of options and then click on the Gardening Club option. This takes you to the Gardening Club page – then Click on the “Diary of talks and Gardening Club Activities” link in the middle of the screen and also click on the similar link on the second screen which takes you into the PDF document containing the Gardening Club diary. (To return to this WELCOME page back from the PDF document click on the LEFT ARROW at the Top Left of the screen THREE times). 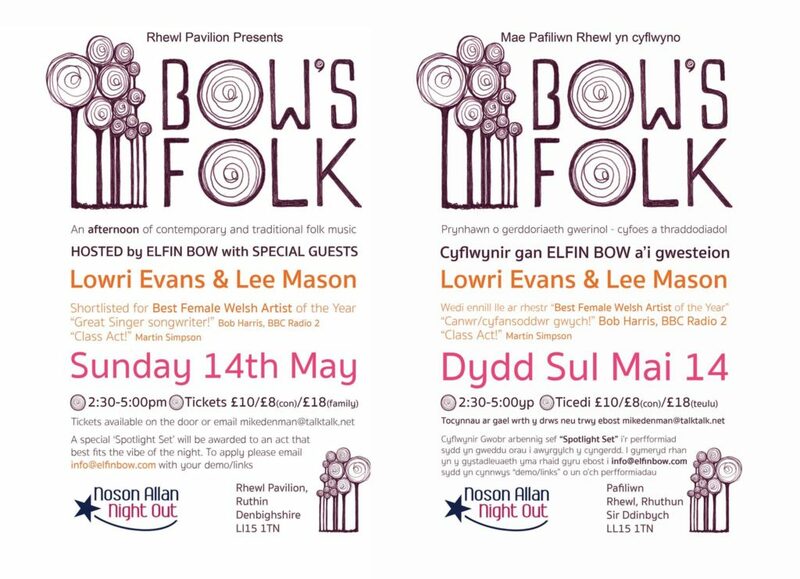 Another in the series of concerts organised by Elfin Bow – it was a great afternoon with Elfin Bow in fine form and also Lowri Evans and Lee Evans producing a wonderful performance. 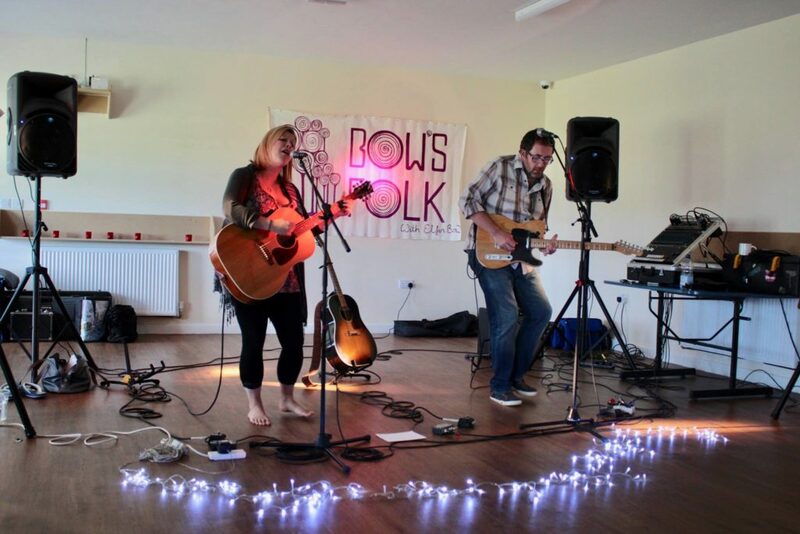 Lowri and Lee are participating in a Grand tour of the British Isles and taking part in a number of concerts. All those who attended agreed that it was a great show. 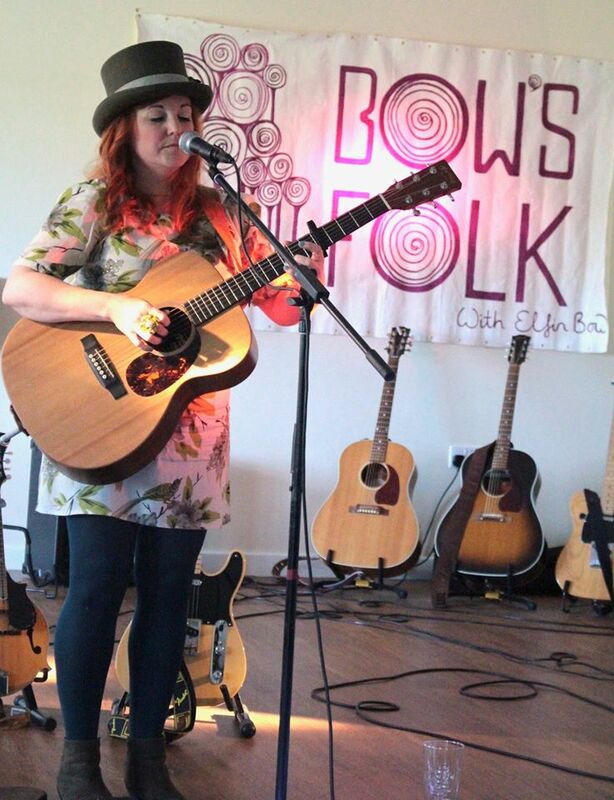 The next in this series of Sunday concerts is on June 18th with Jim Baxley, July 9th with Ange Hardy, September 24th with Dan Frechette and Laurel Thonsen(USA) and on October 22nd Elfin Bow with her full band. Definition – an apparatus used to control heart fibrillation by application of an electric current to the chest wall or heart. 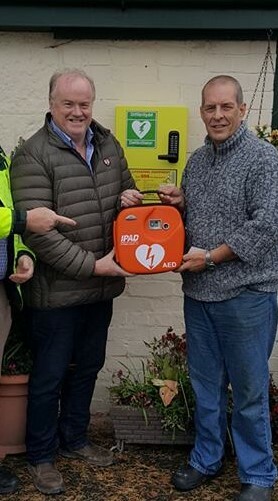 Thanks to the efforts of Merfyn Parry, his mate Huw Williams and all the contributors to the fund to help acquire a defibrillator for Rhewl – the village now has one – it is located on the kitchen wall of the Drovers in the car park. When a patient faces a serious emergency, every second counts for them and a simple helping hand from a Community First Responder can make a vital difference to their lives. First Responders in Wales are volunteers who donate their spare time to attend appropriate 999 calls and provide first hand emergency care to people in their own community. When a 999 call is made, First Responders are alerted by WAST‘s three control centres and are sent to certain types of calls the same time as an ambulance so they can provide essential care until the vehicle reaches the scene. The volunteers are trained by the Welsh Ambulance Service to administer basic first aid skills, oxygen therapy, cardiopulmonary resuscitation and the use of a defibrillator. 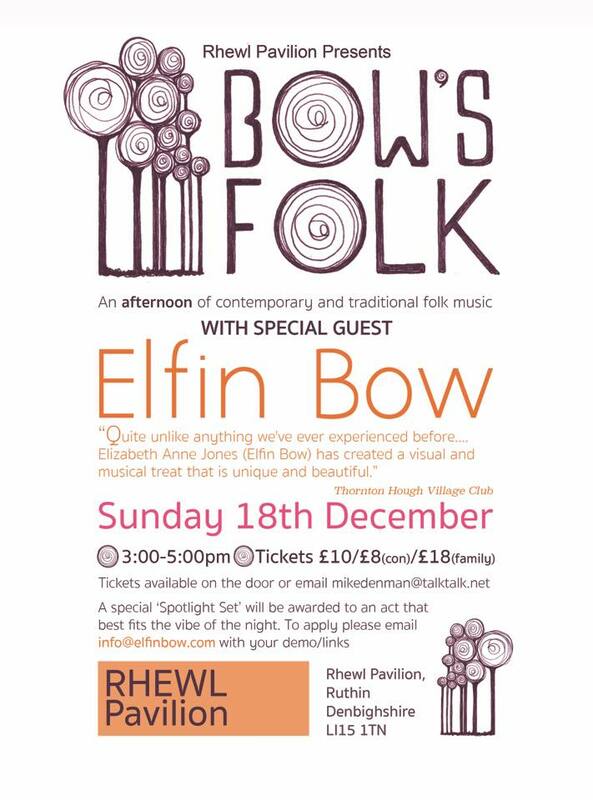 Thanks to Elfin Bow and friends for the fantastic concert in Pavilion on Sunday afternoon. There were many talents on display and everyone present enjoyed the atmosphere and the music. It was also great to see young Archie performing, obviously he’s a real future talent. We’ve already penciled in another event for early March, we’ll post more information about this when we’ve finalised the details. Rhewl Football Club and Rhewl School held their Annual Senior Citizens Xmas Party at Rhewl School on Wednesday December 8th. Invitations were sent out to all known residents who qualify. The criteria for an invitation to the dinner is that invitees will have attained the National Pensionable age and live in the Rhewl Football Club catchment area; their spouses can also come along even if they have not reached the pensionable age. If you think that we have missed out on anyone who should have had an invitation letter, and did not – please contact Cath Humpoletz on 01824 704827 or 07785 785493. 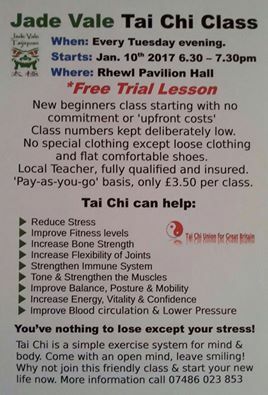 Tai Chi starting in the pavilion in the new year, please take a look at the attached poster for details.Other classes and activities are planned and details will be added when the arrangements are finalised. The Party to celebrate the refurbishment of the Pavilion was a big success with over 200 guests enjoying the evening. More about the entertainment on the Porthmyn option of this website. The excellent food was provided by Jennifer Studley of Llanferres – a Rhewl girl. We hope that with the new facilities it will attract many people to hold functions to help us maintain the building and surround. The official opening took place on Friday November 4th when Ian Hession and Mike Denman of the Playing Field Committee were able to officially thank the many benefactors who had helped fund the project as well as local Council dignitaries . The Committee also invited ex- Committee members and partners, wherever possible, to attend. The local tradesmen who helped to extend and refurbish the Pavilion were also thanked for their work and advice. 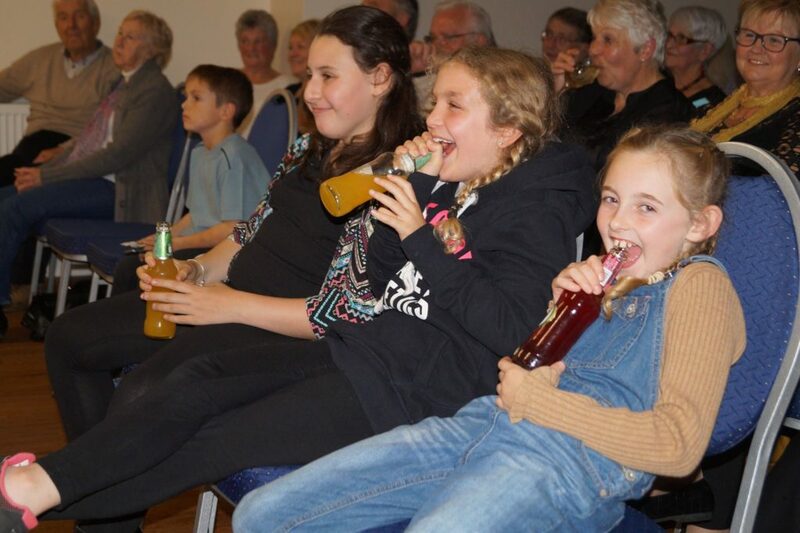 Rhewl School pupils attended and provided some entertainment. 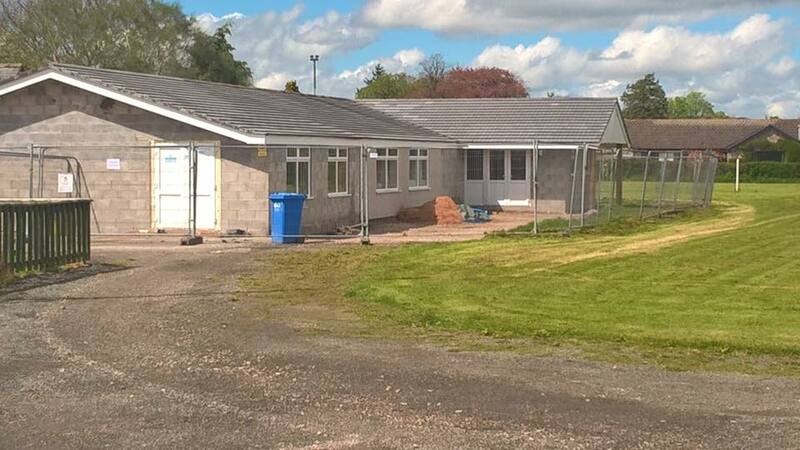 Rhewl Football Club were thanked for their support from day one of the Playing Field existence; the club has worked hard to raise over £30,000 towards the Pavilion and Playing Field. 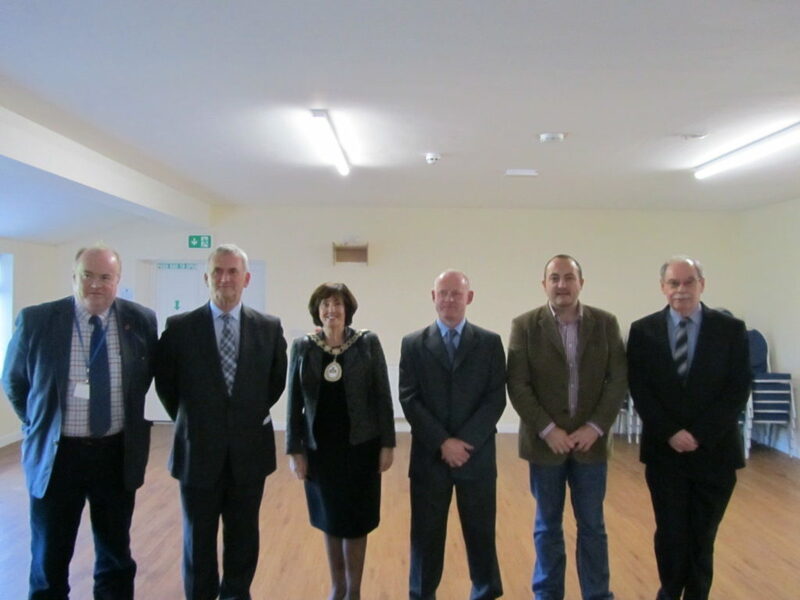 The local Community Council were also thanked for their financial assistance over the years. Llanynys Community residents were also thanked for their generous donations to the fund to help buy the chairs, tables and blinds. There are still items such as trolleys, Broadband facilities, projector equipment etc. to purchase to make the Pavilion a real centre of activity in the village. So we are still hoping that some of the rest of you will dig deep and help us complete the funding of this worthwhile project. Côr y Porthmyn donated a sum of £500 to the ‘Chair’ Fund. A whole host of events are being organised for the Pavilion and details will follow shortly. Some taster sessions are being organised for Musical workshops, computer classes (as soon as BT supply the connection to the Pavilion), Tai Chi classes and others. 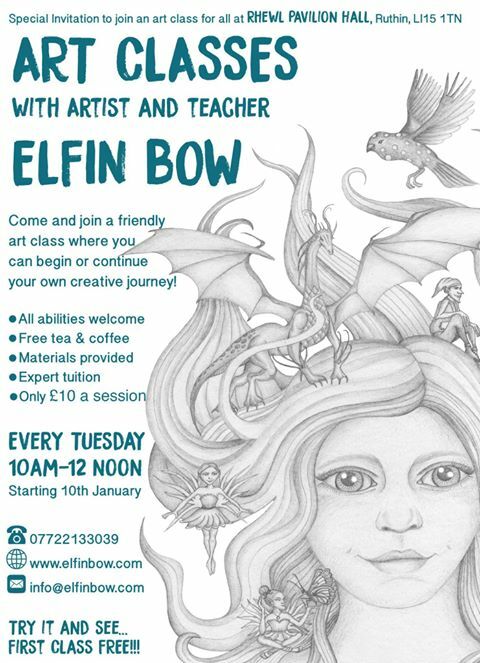 The Pavilion are keen to fill morning and afternoon periods with events such as Senior Citizens Club, Toddlers Club, Art sessions etc. And of course anyone fancying running such clubs will be welcomed with open arms..
A brand new modern kitchen with utensils and crockery has been installed as well as a fully fitted bar with bar equipment, glasses and stock. Many thanks to Halls of Holywell for their help in the latter. The new floor is finished and looks marvellous and have completed the refurbishment on time. The external lighting is in place and much improved. Congratulations and thanks to our Local County Councillor Merfyn Parry and his pal Huw Williams for completing the cycle run from Rhyl to Liverpool raise funds for a defibrillator for the village of Rhewl , please donate through the justgiving link below or give your donation to Huw or Merfyn thanks for your support. 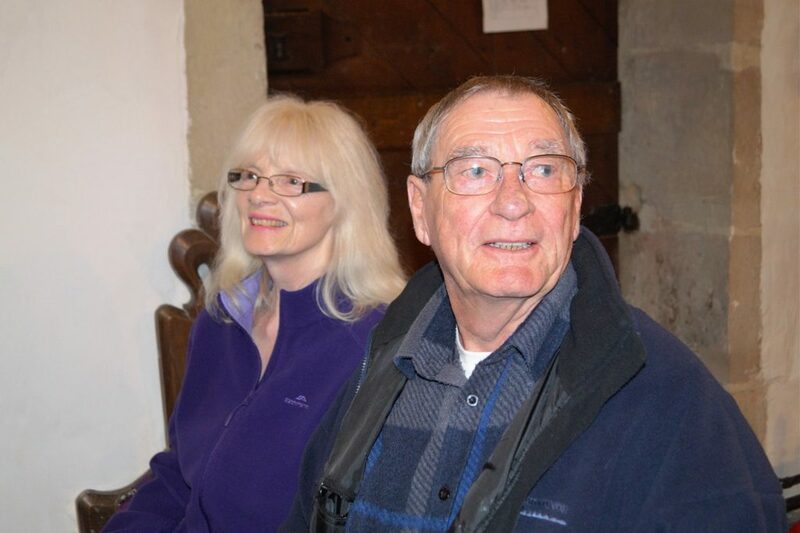 Mr & Mrs Tony Cash after their holiday in Rhewl have now returned to New Zealand. 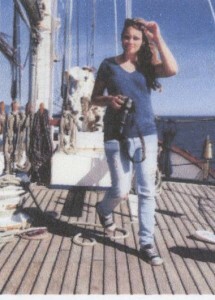 They used to live in Telpyn before returning to their native New Zealand a number of years ago. They now live in the beautiful seaside town of Tauranga, North Island. To celebrate her 50th birthday – Iona Jones did a Charity Bike Ride for raising funds for the Elen/Welsh Air Ambulance cause. She carried out this mammoth effort on September 25th and as she is the The Porthmyn’s Choir’s Treasurer they opened the batting with a £100 donation. Please support this excellent service. Sad to hear of the passing away of Gwilym who was a Rhewl man through and through. He was stalwart of Rhewl church and a large congregation had assembled in the Chapel for his funeral service which was conducted by Rev. Russell Owen, Telpyn Forge. 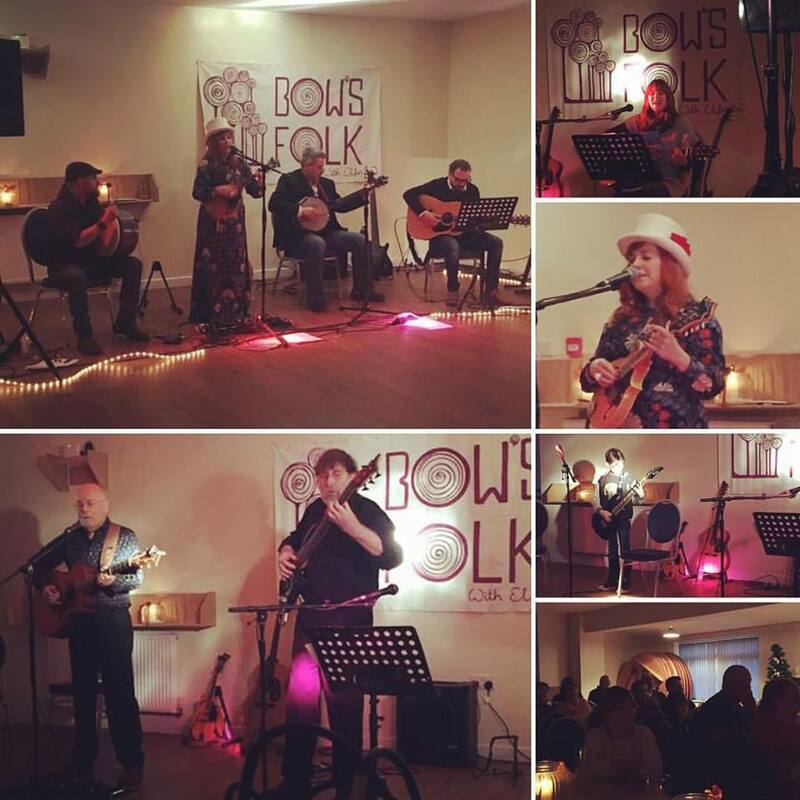 The annual Xmas evening was held at the Pavilion on Wednesday December 16th. The evening was arranged by Rhewl School, Llanynys Playing Field Committee and Côr Y Porthmyn. It was a lovely evening and a good start to our Xmas festivities. 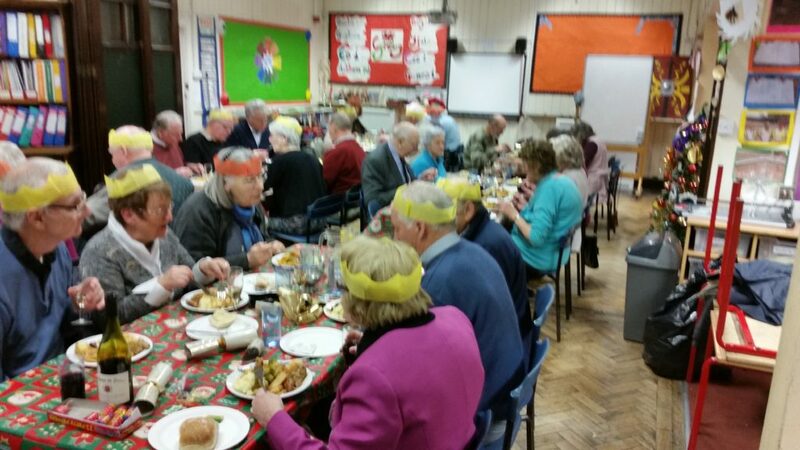 Once again Rhewl School and Rhewl Football Club held a Senior Citizens Xmas dinner. 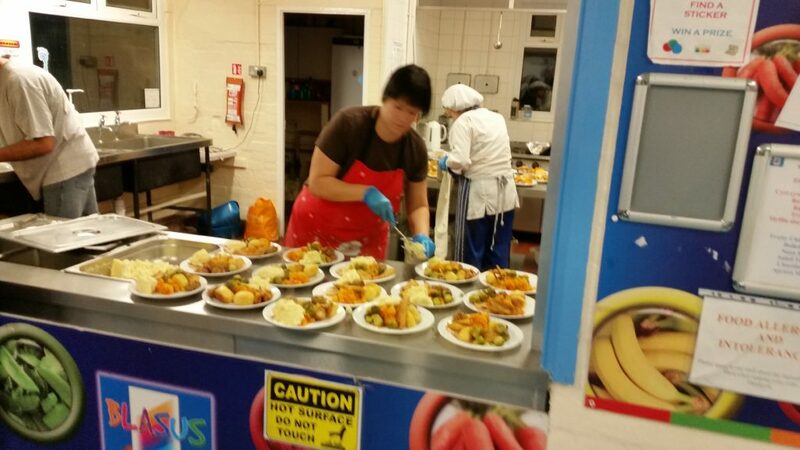 An excellent meal was prepared by Rhewl School cooks and those who attended enjoyed a lovely evening. Thanks to Bov, once again, providing the entertainment. Well done to Ysgol Rhewl for hosting a special event on Rhewl Playing Field on Thursday 24th September 2015, as part of Race for Life’s schools programme. Around 50 youngsters, aged from 5 to 11 years old, took part together with their parents, teachers and school governors, to raise funds for Cancer Research UK’s life-saving work. Congratulation to Llion Davies for completing the Great North Run in a very commendable time of 2hrs 27min 03 secs for a first timer. 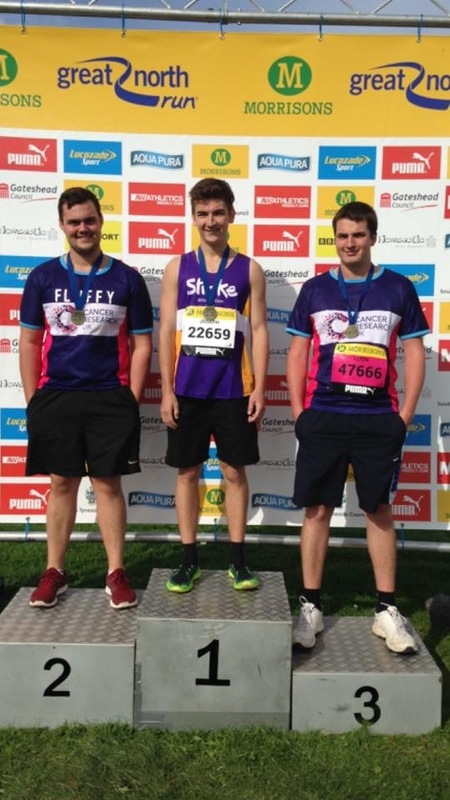 He was running to raise funds for that worthy cause – Cancer Research. 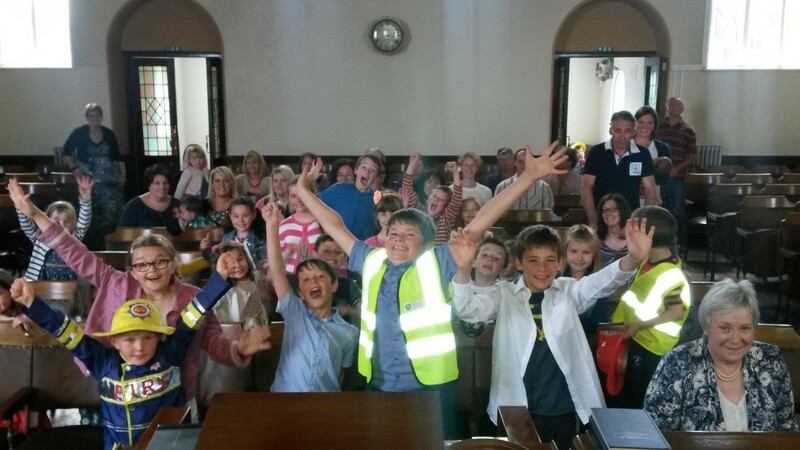 The Porthmyn Choir donated a £100 to his cause. Unfortunately Llion did not get to the winners rostrum on merit on this occasion but maybe next time. 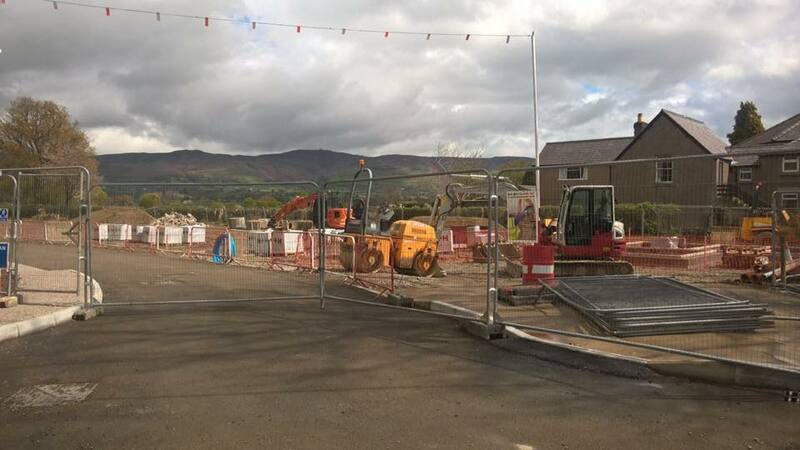 The Annual General Meeting of the Llanynys Community Playing Field Association was held on Wednesday 20th May in the Pavilion. The Officials elected are :- Ian Hession – Chairman; Gareth Williams – Vice Chairman; Michael Denman – Secretary and Ellis Ashton – Treasurer. 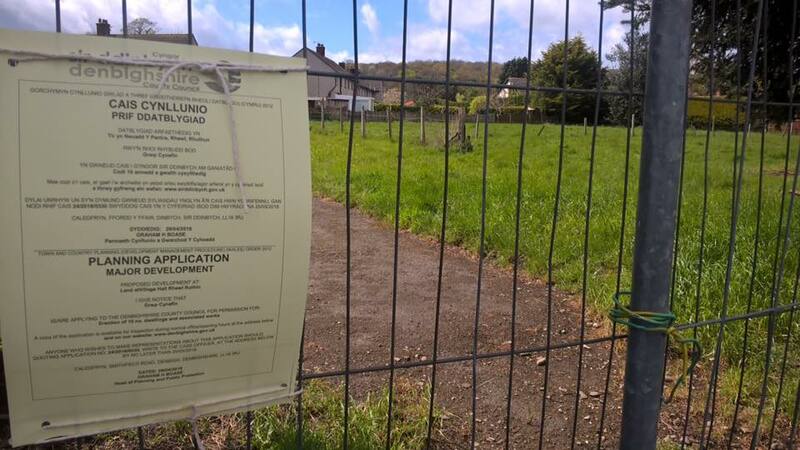 The Officials reported on the previous 12 months and were hopeful that work would begin on the new gate and the extensions to the Pavilion fairly shortly. A Cheese and Wine evening was held to enable the Officials to outline the plans for Pavilion and Field. It was also agreed to invite experienced locals in the Building Trade on to the Committee to help the Officials with the work. 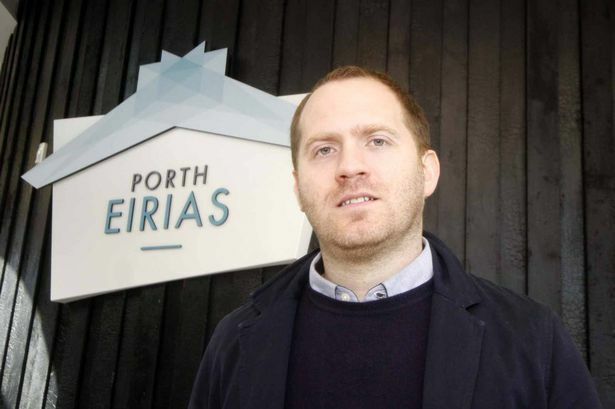 Bryn Williams is the head chef and sole proprietor of Odette’s Restaurant, Primrose Hill, London. He shot to fame in 2006 by beating established and well-known chefs to cook the fish course for the Queen’s 80th birthday celebrations on the television programme Great British Menu He is now widely regarded as one of Wales’ best chefs and one of Britain’s new crop of “celebrity” chefs. 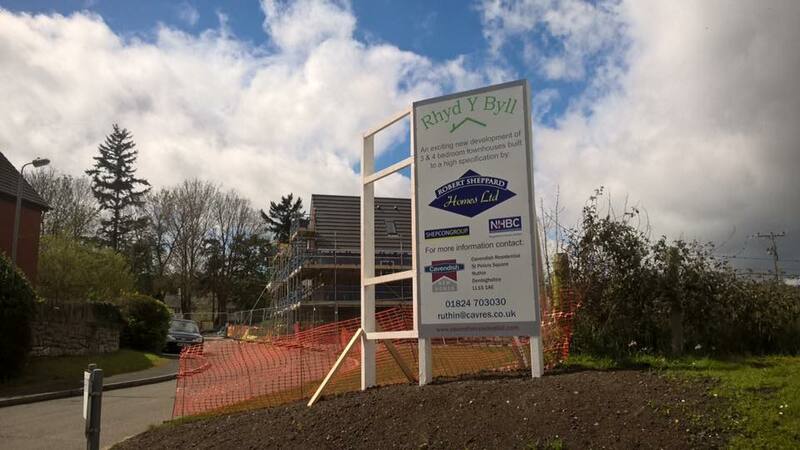 He is now undertaking an ambitious plan to open a bistro at a multi-million pounds water sports centre on Colwyn Bay promenade. 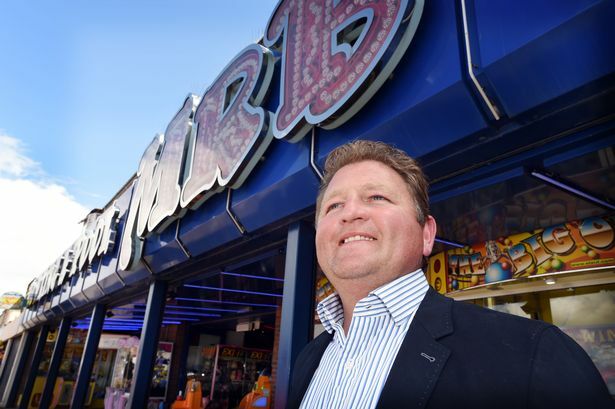 Llandudno Pier, famed for its Victorian and Edwardian elegance, has been sold to Tir Prince leisure boss Adam Williams who has vowed to invest to ensure the pier has a bright future. Adam is the son of Norah Williams who was brought up in the Golflinks Farm and went to Rhewl School. He is also a member of the Williams Family who had a major contribution in the development of Rhyl as a major seaside resort in the fifties and sixties. His father Billy was the prime mover in the development of the Tir Prince raceway. Rhewl School held a festive Christmas Evening in the Pavilion on Wednesday, December 10th. It was a lovely evening beginning with headmistress Sian Hilton welcoming everyone. Entertainment was provided by pupils of the School, the Denbighshire Training Band, Denbighshire County Band and the Porthmyn Choir. Mr John Powell the charismatic leader of the two bands introduced the choirs explaining that the Training Band playing that evening drew on pupils from six local Primary Schools whilst the County Band drew members from further affield and where one of the best bands in the UK doing extremely well in Competitions all over the country. We would like to congratulate John and Heather Powell for the excellent work that the do for music in the region and of course the members of the two bands for providing such an excellent show.. 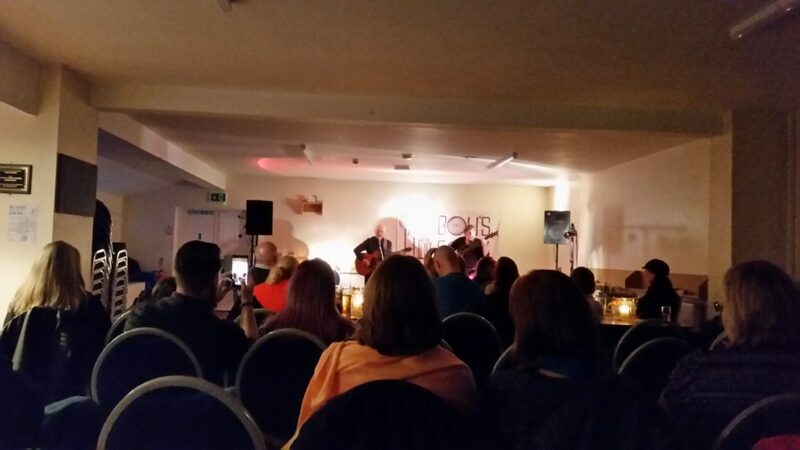 The Pavilion was packed out for the evening with the school being used as an overspill for the bands – the extension to the Pavilion is badly needed for such an event. So I was a part of the group that went around giving food parcels to the homeless on New Year’s Eve. This man who was lying in a doorway under a thin blanket was very frightened of us at first and was hiding. But when we approached him with the food he came out from under his blanket. We handed him a parcel and said Happy New Year and he very gratefully accepted. After we had. walked away, we really felt we had to go back to him, so we did and gave him 3 more! He was so appreciative and bewildered! Seeing him tearing into the parcel not able to wait for his food made myday. We had been able to bless him in a practical way. We had a short conversation with him then left. It was great to bless and love people in a practical way like this. On Sunday mornings a few of us help out with Sunday school in the church we are staying with!). We go to the little room upstairs (where the boys sleep!) And play games, draw pictures and have a lot of fun! The kids are adorable, and many of us have become fast friends! On a particular Friday in Thessaloniki we made a board with a mirror and set it up in the middle of the city square. We asked people to take a look in the mirror, and ask themselves the question ‘Who are you?’ When we asked people what they thought Thessaloniki needed the last week, a common answer was that Thessaloniki needs people who know who they are. We wanted to ask this question to get people thinking about their identity. The Porthmyn Choir being impressed with what Rebecca has done agreed to donate a £100 towards her costs of venturing on such a adventure. 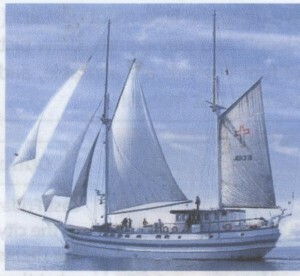 More good news is that YWAM have offered her a permanent job on the ship she sailed on. A calendar of events in the village is now displaying to the right of this screen and all the dates in yellow mean that there is an event being held in the village on that day – moving your mouse over any yellow square will give a brief description of what is being held. If you select the ‘Cor Y Porthmyn’ option on the above line menu – you can hear the choir singing a couple of songs from the Llanfwrog Church concert on YouTube.